Jass Records are proud to present the brand new single released by Harman Maan entitled “Jaan Nikle“, music by Arpan Bawa! Saga Music are proud to present the highly anticipated brand new single released by Rupinder Handa entitled “Careless Chann“, music by Arpan Bawa!! Wakhra Swag Music are proud to present the highly anticipated brand new single released by Raashi Sood entitled “Viyah” featuring Arpan Bawa!! 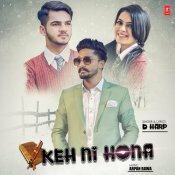 T-Series are proud to present the brand new single released by D Harp entitled “Keh Ni Hona” featuring Arpan Bawa!! ARE YOU Arpan Bawa? Contact us to get a featured artist profile page.